Alitalia, the national airline of Italy, serves 102 destinations in 51 countries. In the United States, the airline flies to Boston, Miami and New York, and seasonally to Chicago and Los Angeles. 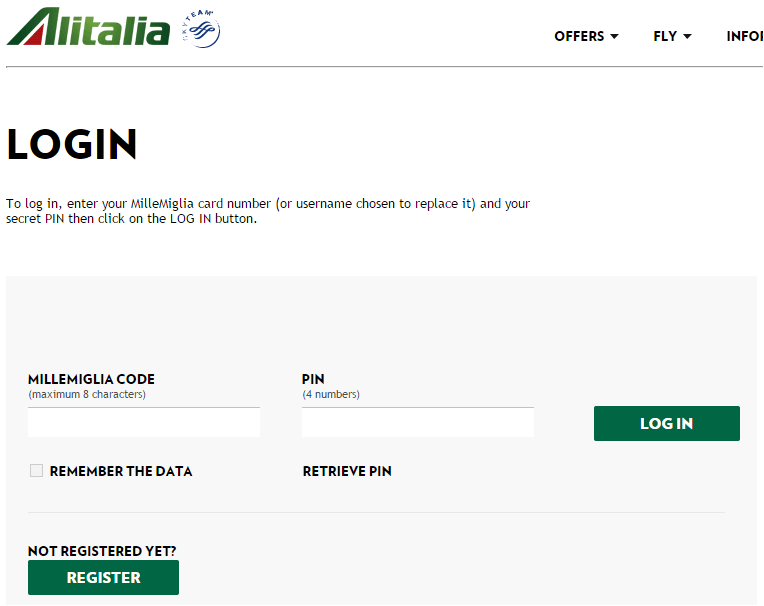 The airline’s loyalty program, MilleMiglia, offers affordable redemptions, but it can be confusing to use. 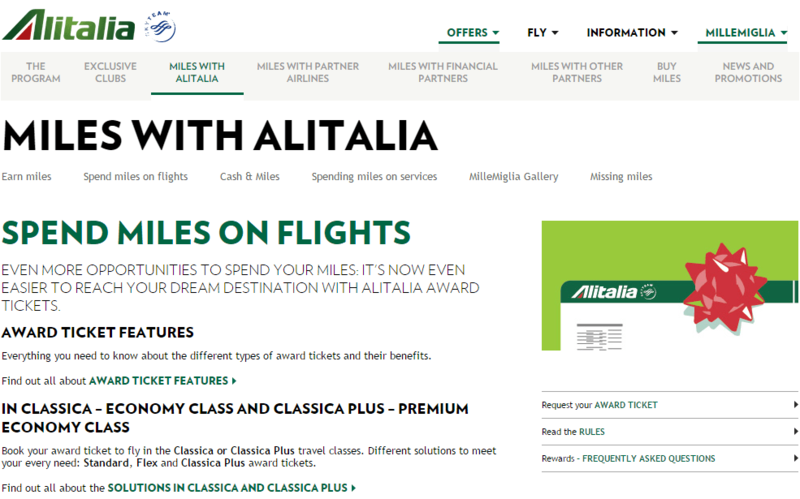 It has different award charts for economy and business on Alitalia flights, a chart for SkyTeam members and a separate chart for each partner airline. It also has different award fares: Standard, Elite and Flex for economy, and Standard and Flex for business. 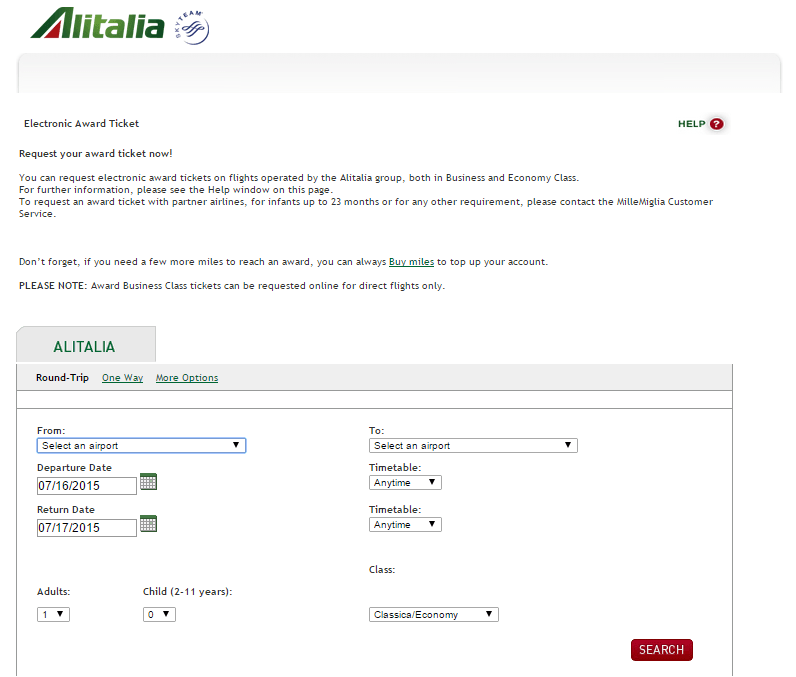 Standard is what Alitalia calls its saver awards, so you should aim for these whenever possible. MilleMiglia has some nice perks. You can mix classes and pay corresponding miles instead of being charged for the higher class of service for all segments of the itinerary. There is also a Cash & Miles option, allowing you to purchase miles if you don’t have enough for an award. Alitalia has two U.S.-based transfer partners, Starwood Preferred Guest and Amex Membership Rewards. It also offers a co-branded credit card to U.S. residents. When Should You Use MilleMiglia Awards? Despite its latest devaluation, redemptions in the MilleMiglia program remain good, and, in some instances, very generous. You can fly between the U.S. and Italy on Alitalia for only 50,000 miles in economy and 80,000 miles in business. Unfortunately, the airline adds sizable fuel surcharges to its own flights and some of its SkyTeam partners. Another redemption sweet spot is on flights between the U.S. and Israel. Since Alitalia groups Israel into the Europe 3 and Near East Zone, flights cost only 50,000 miles in economy and 80,000 miles in business. Economy tickets on these routes also offer good value for your miles, but they aren’t that much less than business class. For example, an economy award ticket to India is 80,000 miles, so paying only 20,000 miles more for the extra comfort is hard to resist. On the next page, scroll down until you see “spend miles on flights.” Click “request your award ticket” on the lower right. You’ll be asked to log into your account. If the flights you want are available, follow the prompts and pay the taxes and fees to complete the transaction. Some Alitalia agents are competent and courteous, but others are not as knowledgeable. Try to find your award flight through a partner airline’s website, such as Delta, Alaska Airlines or Etihad, before you call.